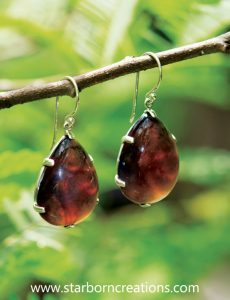 Event: All About Amber – Trunk Show and Talks, from 11:00 am to 5:00 pm on Saturday, November 3rd. 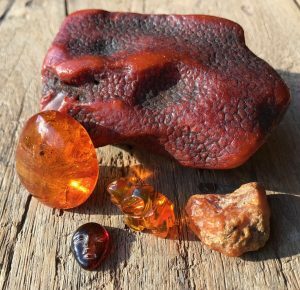 With names like Cognac, Cherry, Butterscotch and more, Amber has always conjured up visions of a window into ancient worlds. We offer this special selection of Baltic, Dominican and Indonesian Blue Amber jewelry, as well as polished and carved pieces, some with insect inclusions. Sindi Schloss will be giving talks at 11:00 am and 3:00 pm. 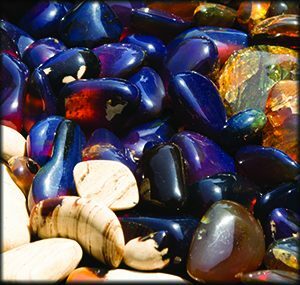 Learn about some of Amber’s storied past and important tips on how to tell imitation amber from real. Examples of raw, insect included and carved amber. 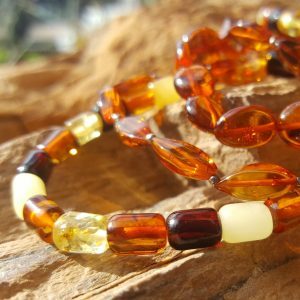 Amber is fossilized tree resin, a result of heat, intense pressure and plenty of time. 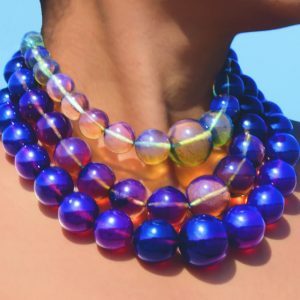 Much of it originates as far back as 60 million years and has been used for jewelry, medicine, perfume and personal amulets and carvings that date back to 12,000 BC. This rich gemstone is a perfect combination of the mineral and fossil world. 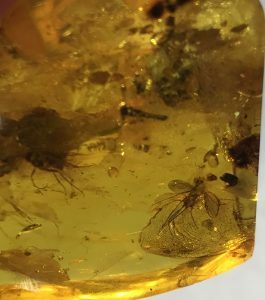 More than 1,000 extinct species of animals and various types of plant matter have been identified in amber. 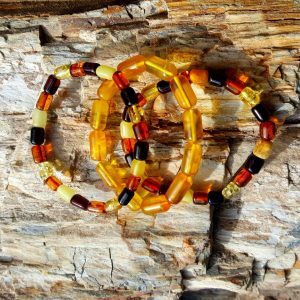 Amber is a unique preservational mode, preserving otherwise unfossilizable parts of organisms, as such it is helpful in reconstructing ecosystems as well as organisms.